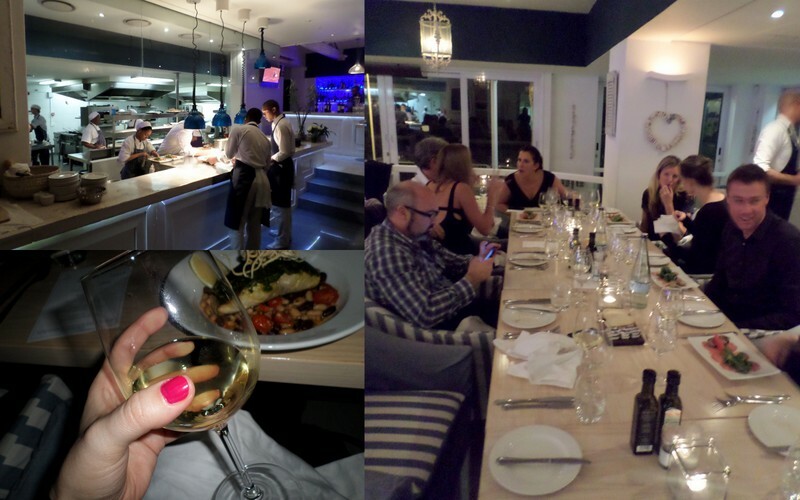 Last week I was invited to a dinner and Warwick Estate wine pairing evening at Blues in Camps Bay. The restaurant’s holding several of these type of evenings over the course of winter to introducing patrons to a few of their favourite vino suppliers – who actually join you for dinner. I arrived with my foodie friend Dax (he of Relax with Dax) and thought we’d sit at our own table but, as it turns out, Blue’s pairing evenings are actually pretty social. All the guests are seated at one or two big tables so you get to mix and mingle. So, if you’re a single chica on the hunt for a hot wine farmer hubby, best you whip out your ghd and volumising mascara. Sorry Dax, there’s no way I’m using that shot of the two of us together. I was far too flu-riddled and my face looked like a puffy, old potato. So generalised mooi restaurant vibes it is. After a glass (or two) of a Warwick wine of our choice and a spread of canapes, dinner kicked off with a tuna scottato salad paired with Warwick’s The First Lady Unoaked Chardonnay. A lovely pairing but my favourite of all the wines was their Professor Black Sauv Blanc I’d tried up front. Its notes included passionfruit, grapefruit and lime and liked that it was crisp, zesty and easy to drink. 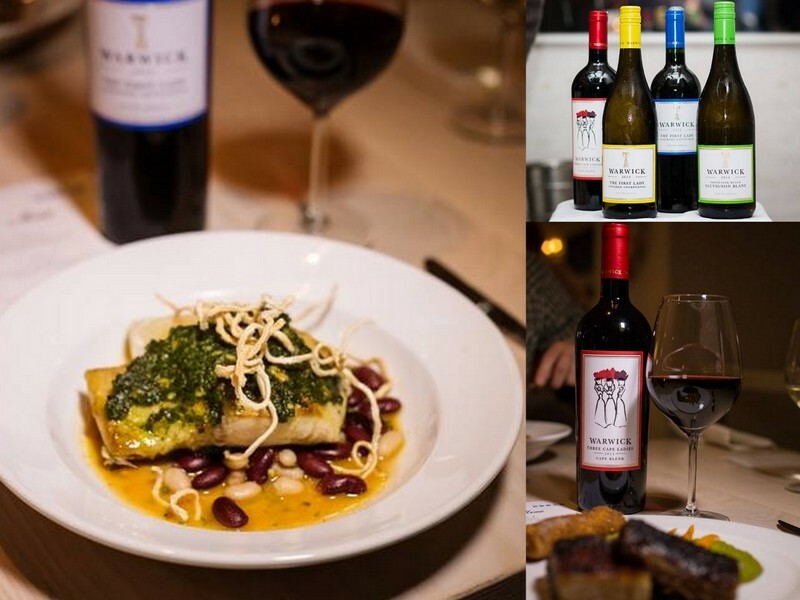 The main course was a choice of either a pork belly paired with Warkwick Three Cape Ladies (a red blend) or a yellowtail served with Warwick’s The First Lady, a berrilicious cab sav with a vanilla and chocolate oak background. My own food pics looked utterly kak due to the restaurant’s zexy mood lighting so I nabbed some pro shots taken by Laura from Ruby Jean Photography from Blues’ PR Kim. Warwick’s wine maker, Nic van Aarde, said it was a little unusual to serve a fish with red, but that rules were made to be broken. And either way, it worked really real. The fish was actually my favourite dish of the two (I tried them both) and, as it was served on a warm stew of mussels and mixed beans, it managed to hit up ‘warm winter comfort food’ territory. Dessert was a zesty lemon creme brulee tart. Anyway, if you want to warm up at Blues this winter, follow them on twitter @BLUESRestaurant or check out their Facebook page to be kept up to date with whats being paired with what and when.